The Quality Group, one of the most respected property developers in Cyprus and the Mediterranean builds its performance on years of experience through an uncompromising approach to quality that extends beyond construction. L. Livadhiotis & Sons Ltd , is the leading property development company in the city of Larnaca . Established back in 1978, Livadhiotis name is synonymous with quality and excellence. Our Quality Residential Developments are concentrated in the picturesque Larnaca district of the beautiful and majestic island of Cyprus. In the near future Larnaca will probably boast a world-class 5 Star Golf Resort and our company currently has 2 exclusive developments in that vicinity. Iacovou Brothers (Group) Ltd is one of the largest construction and concrete companies in Cyprus, with more than 10 separate business entities. Iacovou Brothers (Group) Ltd has a proven record of accomplishment for delivering large and challenging projects on time and within budget. Recognized by CYS ISO 9002, ELOT, and IQ Net Iacovou Brothers (Group) Ltd is known throughout the industry as an organization built on honesty and integrity. We are a respected development company with over 20 years' experience of building villas, houses and apartments. We have developments in the Paphos and Protaras areas of Cyprus, also in the Sunny Beach area of Bulgaria. We aim to provide the highest quality of construction, sales advice and after-sales customer service. 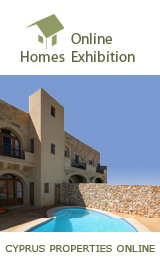 Magnificent Homes welcomes you to Cyprus which is located at the eastern end of the Mediterranean Sea. Cyprus one of the newer members of the European Union is the perfect country where buying a home is a very easy step. Here at Magnificent Homes we build just the perfect home for you and your family.